Can you handle 7 grams of Alisma plantago-aquatica, aka Mad Dog smokeable Juicy Herbs. 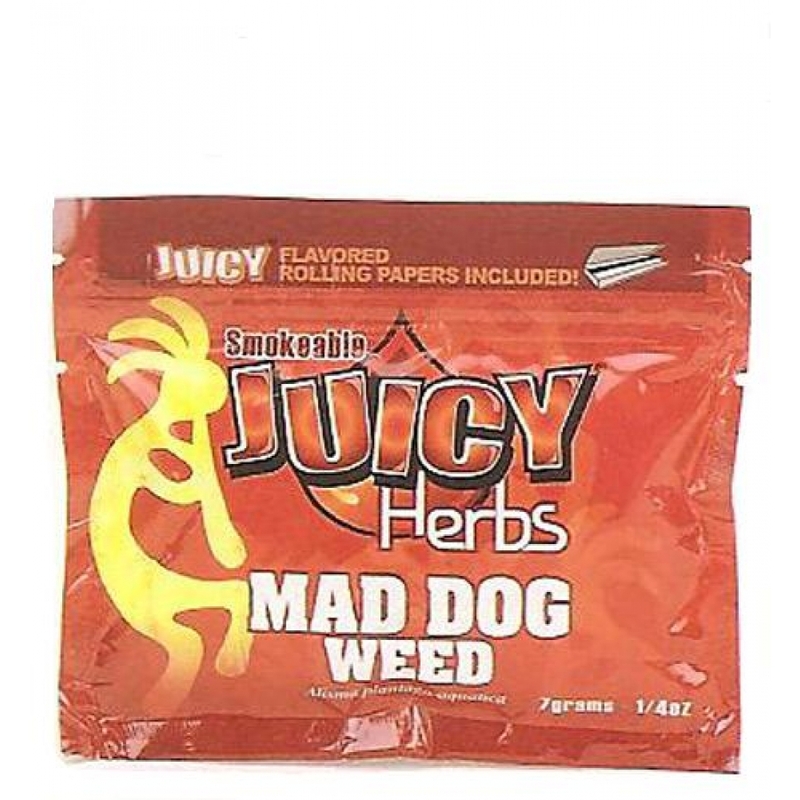 Once thought to be a cure for rabies, Mad Dog Weed is known for its calming effects. It also has a pleasant taste and smell and is often burned as incense. Includes a free pack of Juicy Jay’s flavored rolling papers in every resealable pouch. Ready to smoke! Package was on time and came with a bunch of freebies! A few stems but otherwise a very enjoyable smoking herb. It is a very "chill" type of smoke, relaxing, easy to fall away into, like a warm bath lol. I think it's awesome, it coming with rolling papers is a plus as well!!! It smells and tastes like campfire sticks.